← If an artwork is morally dubious, does that make it aesthetically bad? Last week, Berlin played host to a great conference on Robert Brandom, specifically the Hegel book that’s been appearing on his website over the last few years. The line-up was impressive: John McDowell, Robert Pippin and Terry Pinkard all presented, and James Conant was also in the attendance. It was like a festival. A transcript can be downloaded here. The talk was successful in drawing out a (profound) limitation of genealogical arguments. By genealogical arguments, Brandom refers to the “hermeneutics of suspicion” practiced by Marx, Nietzsche, Freud and – more recently – Foucault. If the Enlightenment disenchanted the world, dispelling the divine in favour of natural phenomena that can be investigated by reason, then the great genealogists of the nineteenth century went a step further, and expressed disillusionment with reason itself. The place afforded reason by the Enlightenment, Kant in particular, associated it with autonomy and freedom. The authority of our beliefs about the world resides no longer in an external entity to which we are simply obedient, but our capacity to assess the reasons for beliefs as valid or invalid. Reason thus has a critical function – to ask, does x really justify y? – and in asking this question, it implies the autonomy of the reasoning subject. Reasons are hence to be distinguished from causes: they relate to a sentient agent, making commitments and assessments, not simple facts about the natural world. The key issue of theoretical philosophy thus becomes understanding how natural facts relate to beliefs: how is it that we pass from a space of causes, where things simple are so, to a space of reasons, where we judge that a thing is so (and have reasons for thus judging)? 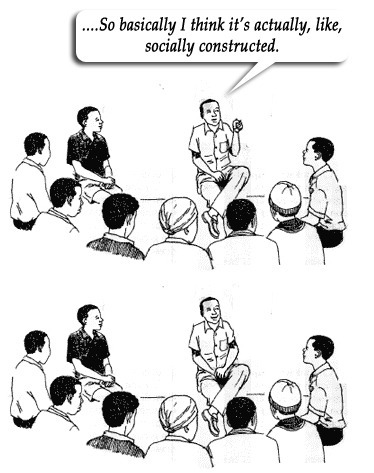 This relates to what Brandom calls Kant’s normative turn. Kant brought about a revolution in our understanding of the mind by recognizing the essentially normative character of the discursive. In a decisive break with the Cartesian tradition, he distinguishes judgments and intentional actions from the responses of nondiscursive creatures not ontologically, by their supposed involvement with an ultimately spooky kind of mental substance, but deontologically, as things their subjects are in a distinctive way responsible for. What we believe and what we do express commitments of ours. They are exercises of a kind of authority characteristic of discursive creatures. Responsibility, commitment, authority—these are all normative statuses. Concepts, which articulate discursive acts of judging and intentionally doing, Kant says, are rules. They are rules that determine what we have made ourselves responsible for, what we have committed ourselves to, what we have invested our authority in. Appreciating the rulishness of the mind is Kant’s normative turn. Practically, what we are responsible for and committed to doing in investing our authority in how things are or are to be, Kant thinks, is having reasons for those commitments. What concepts are rules for doing is reasoning. It is the concepts articulating the contents of our judgments and intentions that determine what count as reasons for and against thinking or acting that way: what would entitle us to do so or justify us in taking on commitments with those conceptual contents. As discursive creatures, we live and move and have our being in a normative space of reasons. After Descartes, the challenge was to find a place for mental stuff in a natural world of physical stuff. After Kant, the challenge became finding a place for norms in a natural world of facts. Descartes has been roundly criticized for his dualism of minds and bodies. The danger is that the result of Kant’s revolutionary insight into the normativity of intentionality would be to replace that dualism with a dualism of norm and nature. […] I take it that a distinction becomes a dualism when it is drawn in terms that make the relations between the distinguished items unintelligible. I will argue that the collision between the possibility of global genealogies and understanding ourselves as rational depends on a set of assumptions (which can be gathered together under the rubric “semantic naiveté”) that would turn Kant’s distinction into a dualism, but that those assumptions are optional, and indeed incorrect. I will argue further that Hegel—intense and insightful reader of Kant that he was—already understood all this and offered a constructive alternative that can provide a way forward for us in thinking about these issues today. Brandom’s argument seems to me successful in showing that genealogical critiques of reason presuppose a dualism between reasons and causes. His reconstruction of Hegel is more contentious. Here, I am not interested in pursuing that story in detail, but I think it worth trying to summarize Brandom’s critique of genealogy. This critique poses the philosophical challenge – that taken up by Hegel – of attempting to understand the complex relation of reasons and causes, which genealogy, in its naiveté, ignores. Genealogical critiques have the following form: By tracing the contingent history of a concept’s formation, we can show that it has a causal function within a system that can be understood determinatively, in a naturalistic manner; as a result, the rational, normative force of a concept is taken to be illusory – “reasons” are in fact only “rationalizations” of what, at bottom, are causal, deterministic processes. In the case of Marxist genealogies, for instance, we can show that an agent’s beliefs in fact have a causal etiology and function within a deterministic system of ideology: she only believes what she does because of her class background, and when she acts according to her beliefs, they are not to be seen as justifying her action, rather explaining it. What she is really doing is being a cog in an ideological machine. Similarly, Nietzsche’s genealogy of Christian kindness seeks to explain it as a form of ressentiment, itself a perverted expression of the Will to Power, the naturalistic substrate to which the normative can be reduced. Brandom distinguishes between local and global genealogical critiques. I suspect a lot may hinge on this distinction. Whereas a local genealogy challenges a specific discursive domain, global genealogy addresses reason tout court: everything can be reduced to some quasi-naturalistic explanation. Brandom being Brandom, he is interested in the overarching, formal issues raised by global genealogy – how such critiques relate to structures of rationality as a whole. I suspect that his arguments would have to be recast somewhat in the case of local genealogies. If local concept X only emerges at a particular point in history, and seems to play a causal role in deterministic system S (eg. serving the ruling classes), this is only to claim that rational agents deceive themselves with respect to X, not that these agents are thoroughly irrational and that the substrate of all rationality is S. Brandom is first of all interested in saving reason, not yet specific reasons. However, if he is right about the reductionism of global genealogy, then the reductionism of local genealogies also requires rethinking: how come we’re no longer being rational with respect to X, yet we are being rational with respect to Y, and both cases appear the same to us? Does our suspicion in the case of X not imply that we should address that suspicion to Y? Does local genealogy not want to become global? I wish I’d thought of this question at the conference and put it to Brandom. The problem with global genealogy, according to Brandom, is “semantic naiveté.” What he means by this is having a simplistic understanding of conceptual content. For Brandom the inferentialist, the content of a concept is the normative role it plays in our justificatory practices. This version of holism is clearly related to Sellars (whom I’ve written about, via Bradley and Brandom, here). The kind of view Brandom objects to is that of Carnap, for instance, who believed that conceptual content was simply given in foundational sensory experiences. Brandom also finds this naiveté in Kant. Kant fails to provide a story about where the concepts of the understanding come from. He may, like Carnap, discuss the rules by which we apply them – the structure of our judgements – but there is a semantic story missing from Kant, about where meaning, and the specific inferential rules by which we can apply each concept, arise. Hegel, Brandom argues in his book, and this lecture, is an inferentialist avant la lettre. He tries to give an account of the emergence of concepts that is also explicitly historical. The semantic naiveté of genealogical critique is related to how it construes history. The goal of genealogy is, after all, to subvert the normative force of a concept by redescribing it causally: you are not acting rationally, as you believe, but instead merely rationalizing your function within a deterministic system. For a genealogist, tracing the historical genesis of a concept is meant to expose the contingencies of its institution as expressions of a causal, non-rational process. The key assumption of genealogy is, then, that causal processes – history – exclude the possibility of genuine rationality. But this, Brandom and Hegel argue, is not the case. Rationality itself is historical and social. Genealogy thus succeeds only in dismantling a straw-man account of rationality, one that posits – naively – the semantic content of its concepts apart from the rich and complex semantogenic process via which they arise. Genealogy seizes on the distinction between reasons and causes, but construes it, in Brandom’s terms (see above), as a dualism: if there is a historical component to our beliefs, then they do not provide reasons, only causal explanations. The genealogist’s argument takes reason and cause to be exclusive in a way that is dualistically unfeasible. Even if what she says is true, the genealogist must provide an account of where the semantic content of concepts comes from. She cannot follow Brandom/Hegel and give an inferentialist account, whereby conceptual content is related to the normative relations into which a concept enters. Her entire argument denies that there are normative relations as such (no reasons, only causes). She thus cannot appeal to their form of holism, or to any kind of rational semantogenic process. Thus, the genealogist, by abandoning normativity for causality, is committed to some form of semantic naiveté. Either she naively claims that our conceptual contents are just there, apart even from history, or her global critique of rationality results in semantic nihilism: there simply are no conceptual contents, throwing out the semantic baby with the normative bathwater. I sometimes wonder if this is literary studies’ attitude to genealogy: expose something as historical, contingent, causal, etc., and win the game. The “yes, and” is very important. Isn’t it important that intentionality totally falls out under genealogy? What about experience and conceptual content? What about the possibility that the historical genesis of concepts does not preclude their rationality? If you commit to genealogy – both in local and global varieties – you have a lot of additional philosophical work to do, especially when it comes to accounting for structures of rationality. This (hard) task is the one undertaken by Brandom and Hegel. I’m not sure to what extent the reconstruction in this talk succeeds: Brandom claims that the best analogy for how rational concepts emerge from history is case law. I’m also not sure if the “hermeneutics of magnanimity” – the form of trust required to guarantee the emergence of genuine rational content from the contingencies of history – doesn’t paint too rosy a picture of rationality. The histories of concepts clearly do relate many of them to structures of oppression. Brandom’s Hegel, like Pippin’s, is irenic, focused on an idealized, harmonious state in which reasons are given, taken, understood, and agents’ self-descriptions coincide with their social roles. Perhaps the Hegel of the Grundlinien had just this kind of attitude. But philosophy tends to create utopias – even if, in Hegel’s case, he also provides a theory of alienation, and discusses the failure of both social institutions and self-consciousness. Literature, on the other hand, lacks this idealizing tendency. Can literature compensate for the neo-Hegelians’ optimism? If so, what kind of literature, or literary studies? Surely we don’t need more Nietzschean pessimism (or genealogy) – yet more semantic naiveté that takes the Enlightenment’s own naiveté seriously. As Brandom’s lecture shows, we have to get beyond the brute reductionism of genealogy. What we need is a neo-Hegelian literary studies – one that takes up the subtleties of Hegel’s account without smoothing over the cracks, as philosophy tends to do. 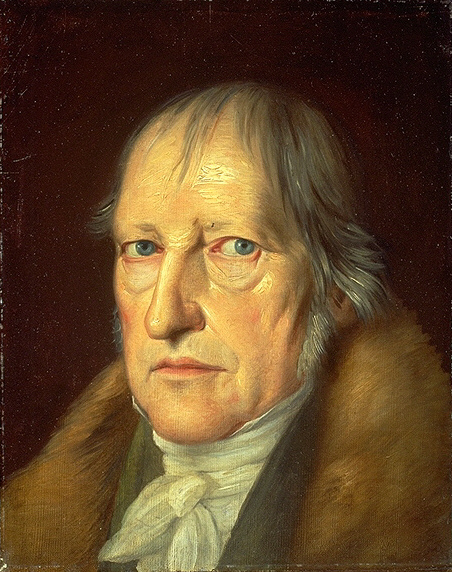 This would involve not only considering how concepts are “historical,” but also the concrete consequences of a lack of normativity, of conceptual failure – the alienation and social breakdown that are necessary components of Hegel’s dynamic, holistic thought. Literary studies needs to step back in line with Hegel – for Hegel’s sake. This entry was posted in concepts, genealogy, Hegel, ideology, inferentialism, philosophy, Robert Brandom, Uncategorized. Bookmark the permalink.